Virtual Manipulatives as Mathematical Support. Algebra Tiles in Middle School. Helping Students Succeed in Algebra Through the Use of Manipulatives. From Research to Practice: Teaching Math to Students with Significant Disabilities. The conference will be full of information on collaboration and how to include students in all areas of school life. There will also be many other topics related to school leadership, behavior supports, and preparing students for future life in their communities. Look for a full schedule at the MCEC website later this month. The new revised material and training is now complete. We recently completed the final two days of the training on December 4 and 5. The training included a combination of teachers attending for their own professional learning and teams of facilitators pursuing certification to offer the course in their counties. Several trainings are now in the planning stages for the spring of 2018. Be on the lookout for offerings in your area announced in this newsletter. The winter screening cycle has begun and continues through February 28, 2018. It measures the impact of fall tier 2 interventions and identifies students for upcoming tier 2 interventions. Sample student and class reports can be viewed on the Delta Math support website and data protocols are available to guide your tier 2 professional learning communities (PLCs). Explicit instruction that is systematic. Visual representation of mathematical ideas. Motivational strategies such as personal goal setting. The support video, Standard-based Intervention Cycle Overview, is available to view how tier 2 intervention resources are intended to be used. Tier 2 lesson development for the Algebra 1 readiness standards is scheduled to be completed throughout 2018. If you have questions about providing tier 2 support for student who struggle, please email Mike Klavon. Jared Koski, Speech Language Pathologist and Alt+Shift Contractor, will provide a breakout session on getting started with Core vocabulary at the Supervisors of Low-Incidence Populations (SLIP) Winter Conference on January 23. 2018 in Lansing. Communication is critical for teaching and learning, and the use of core boards and core vocabulary provides a way to get that communication going with students with complex communication needs. In Steve Wyborney’s blog, I’m on a Learning Mission, he presents a series of 50 free, downloadable lessons called “Splat!” where a blob is covering items, and students must problem solve to figure out what is under the “splat.” Topics include whole numbers and fractions, and they are a great way to engage with students of various ages and skill levels in number talks. “Teaching Mathematics to Students With Significant Disabilities and Complex Communication Needs,” breakout session, Supervisors of Low-Incidence Populations (SLIP) Winter Conference, January 23, 2018 in Lansing. “From Research to Practice: Teaching Math to Students with Significant Disabilities,” breakout session, Michigan Council of Teachers of Mathematics Annual Conference, March 1, 2018 in Grand Rapids. Oakland Schools is offering this one-day workshop where participants will explore over ten years of research by Dr. Peter Liljedahl of Simon Fraser University. Participants will look at elements of teaching mathematics that Dr. Liljedahl has identified that support “Building Thinking Classrooms.” His results demonstrate some easy-to-implement teaching practices that can shift classroom instruction and promote student thinking. Co-teaching partners at the secondary level are encouraged to register, but individual teachers are welcome. Check out the Twitter hashtag #VNPS or #vrg to see what all of the excitement is about! The workshop will be held February 1, 2018 at Oakland Schools in Waterford. Online registration is now open. Math in Action presents lively and informative discussions of current issues in mathematics education while providing an opportunity for practicing pre k-12 teachers, prospective teachers, curriculum directors, and college and university faculty to share ideas, concerns, and resources. SCECH credits are available for most sessions. The conference consists of six hour-long sessions with choices of seven or eight separate interactive presentations during each time slot. This year’s conference will be held on Saturday, February 24, 2018 at Grand Valley State University - Allendale campus. Keynote speakers are Tracy Horodyski speaking on Mathematical Discourse: An Avenue to Student Agency and Linda Funsch speaking on Discovering the Value of Numeracy for Secondary Students. Break-out sessions are focused on specific mathematics and pedagogical topics at a variety of grade levels. Registration is now open. For more information, and to view the conference program, visit the Math in Action website. 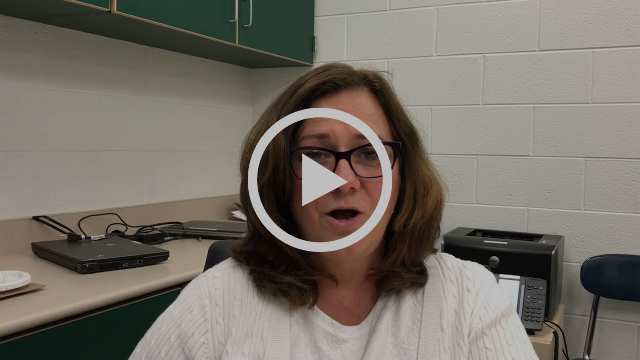 The Michigan Math and Science Center Network presents (MMSCN) this series of virtual meetings that focus on math and science formative assessment strategies. Each month (September through May), a different speaker presents a new topic related to the use of formative assessment in math and science. For more information on the topics, and how to join the meetings, download the program flyer. The 2018 Michigan Association of Mathematics Teacher Educators (MI-AMTE) Conversation Among Colleagues Conference continues a commitment to utilize the full range of experts available in K-16 education within the state of Michigan to share ideas and have discussions about improving mathematics teacher education. This year’s conference theme is The Teacher Development Continuum: Preservice through Early Career. Proposals for talks related to the theme are welcome. Submit your proposal by January 10, 2018. Speakers will be notified regarding their acceptance around January 17, 2018. 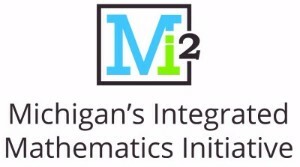 The Michigan Mathematics and Science Centers Network will host AP Computer Science Principles (grades 10-12) and Computer Science Discoveries (grades 7-9) professional development this summer at no charge. The curriculum resources for these classes are also provided at no cost. Schools admitted into this program must commit to having a year-long AP computer science course or at least one semester of a computer science course in order for their teacher to be accepted into the program. Applications are projected to open in January 2018. If you are interested in this nationally-renowned program, now is the time to get approval to run the courses next year so you are able to apply when the applications become available in January. Teachers are asked to attend a one-week professional learning series in the summer and four follow-up professional learning sessions during the school year. Watch for more information to come. For specific questions, contact Kathy Surd. 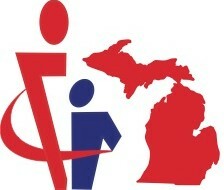 The STEM Teacher Network is a community-driven professional learning community that connects STEM instructors across Michigan. Members can interact through the online community or join in on monthly live, online meetings. Each meeting will focus on a specific topic (such as free resources, class routines, or fundraising) and will feature a panel of fellow STEM teachers who are knowledgeable about that particular topic. The first online meeting was held in October. Live sessions will continue on the second Tuesday of each month. Sign up here to receive the latest updates including an invitation to join the online community. How does identity influence one’s perception of math? What strength-based instructional models can be implemented in the mathematics classroom? How can cultural modeling be embedded within the mathematics classroom? How have I imposed my biases on students? What privileges do I have because of my identity? How can we, as educators, develop a reflective practice? The institute takes place on various dates throughout the fall and spring. For more information, visit the Responsive Math Institute website. Math in Action will take place Saturday, February 24, 2018 at Mackinac Hall on Grand Valley State University’s Allendale campus. Math In Action presents lively and informative discussions on current issues in mathematics education. It also provides an opportunity for practicing pre-k to 12 teachers, prospective teachers, curriculum directors, and college and university faculty to share idea, concerns, and resources. For more information, download the Math in Action Save the Date flyer. The Detroit Area Council of Teachers of Mathematics (DACTM) proactively supports Michigan math educators’ continued professional growth. The Michigan Council for Exceptional Children (MCEC) is part of a national community of educators who are the voice and vision of special and gifted education. 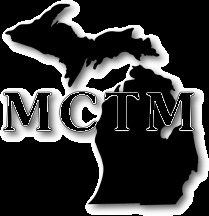 The Michigan Council of Teachers of Mathematics (MCTM) is the professional organization for Michigan mathematics educators at any grade level, pre-K through college. 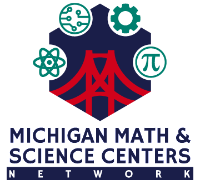 The Michigan Mathematics and Science Centers Network (MMSCN) collaborates with partners across the state to improve math and science teaching. Alt+Shift, encompassing Michigan's Integrated Mathematics Initiative, is an Individuals with Disabilities Education Act Grant Funded Initiative out of the Michigan Department of Education, Office of Special Education.